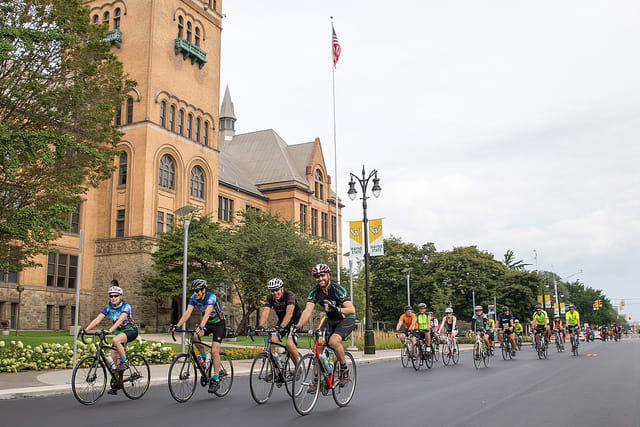 Join us for The Baroudeur, Wayne State University's cycling event to raise money for student scholarships! The Baroudeur is a fun, noncompetitive event that allows cyclists of all abilities to explore the Motor City on two wheels. Fundraising proceeds benefit scholarships and the university’s Helping Individuals Go Higher (HIGH) program, which supports students whose unstable housing situations threaten their dreams of earning a degree. For more information, visit: www.baroudeur.wayne.edu.